Part of the reason I spent the month of May in Berlin had to do with my internship at a literary magazine, Spolia, the new sister publication of Bookslut. The internship is based online, but I had a chance for an apartment swap in Berlin, so I went. 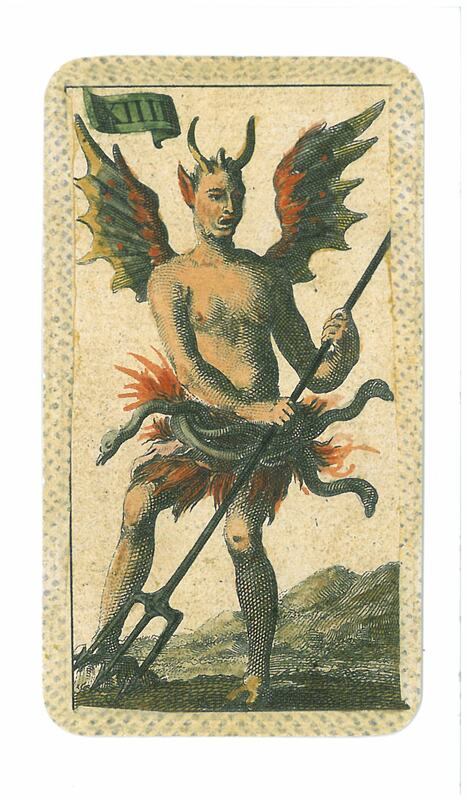 As a Spolia intern, one of my first duties was to locate the Devil card in a Tarot deck, run it through the scanner, and send the JPG on for the designer to use as the cover for Issue Two. I have had quite a few internships in my illustrious career, and never before have I explicitly been asked to find the Devil. In doing so, it meant that I had a hand in the production of Issue Two of Spolia, the Black Magic issue, which is available now. Spolia is also running a special for the Black Magic issue, which invites readers to have their star charts and/or tarot cards read by the editor-in-chief, Jessa Crispin, aka the Bookslut. I had mine done, opting for the Creative Flow reading to answer some questions about my thesis. It was very insightful, and helped me to focus my ideas and plan a writing schedule for the next three months. We even delved into my relationships in the last five minutes, because one of my cards so clearly represented another part of my life blocking my flow. I would recommend it, especially if you’re a writer who is stuck on a project and you need someone to shake you loose. It is a reading by the Bookslut, after all. You may go over to Spolia to check it out, and decide the cost is a bit prohibitive. That’s okay… it makes the $5 for an issue of Spolia look like chump change, doesn’t it? Ah, go on go on go on. Then you can just let these zodiac cats decipher your horoscope for you.